Go Power! Inverter Sizing Guide Power Solution | Go Power! When deciding on pure, modified, true or quasi-sine wave inverters, it is important to select a dependable system that is appropriate for any power tools, office equipment or other appliances you may run. Our inverter calculator will provide you with a product recommendation based on your AC power usage for specific electronics, power tools, and battery chargers. 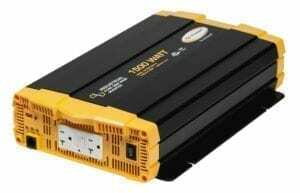 Our most popular inverters have UL certification. Click here to view our full line of UL certified inverters. Operating wattage may not be exact for all applications. Please review individual product specification for actual wattage requirements. Wattage rating can be calculated by: Volts (120) x Amps.